The success of the ACC is only possible because of the generosity of our sponsors. We are a 501(c)(3) organization. Those who give to support this organization are listed in our annual performance program. Please see below to make a donation to our organization. Also below is a list of those individuals and companies that donate to make each season possible. Please use DonorBox below to make a donation or if you would like to know more about donations, please contact Tammy Meacham, Chairman of Finance & Fundraising. 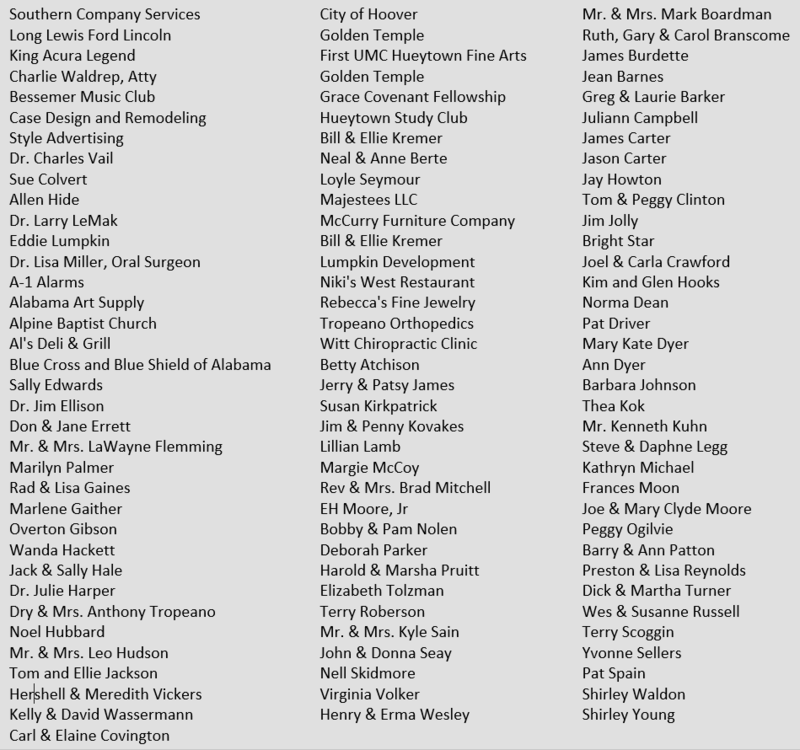 DONORS INCLUDE Many Members of the ACC, not listed, who give to make this group possible.